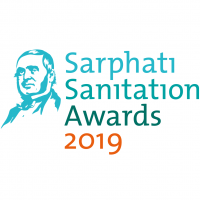 Call for nominations for the Sarphati Sanitation Awards 2019! Join the boost for global sanitation efforts and nominate an individual or organization for the Sarphati Sanitation Awards 2019! In 2013 Aqua for All, World Waternet and the Netherlands Water Partnership (NWP) initiated the Sarphati Sanitation Awards (SSA), awarded during the biennial AIWW. The Sarphati Sanitation Awards were installed to honour contributions to the global sanitation & public health challenge through entrepreneurship. The Awards are named after Dr. Samuel Sarphati, a doctor who lived in the mid-19th century and was convinced that proper sanitation was a crucial factor for improving public health. With his entrepreneurial spirit, he was able to demonstrate money could be made by collecting human waste and transporting it out of the city. He connected public and private parties and made an important contribution in finding sustainable solutions to the sanitation challenge. In 2019, the Sarphati Sanitation Awards will be handed out for the fourth time. This year the Water Supply & Sanitation Collaborative Council (WSSCC) joined our team and supports SSA 2019 financially. From this moment on we call upon the next Sarphati: an entrepreneur and innovator who forced a breakthrough for an integrated system with a clear Sanitation Value Chain strategy. 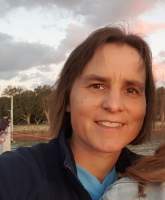 Will you help us find this promising entrepreneur or innovative organization? Go to aquaforall.org/sarphati/ and let us know who forced a breakthrough for an integrated(decentralized) treatment system of wastewater and human waste in urban settings. I just wanted to point out that the deadline for nominating someone for this award is 1 April 2019. The jury of the Sarphati Sanitation Awards 2017 decided to honor Sasha Kramer, co-founder of SOIL, the Lifetime Achievement Award for her outstanding work to provide sustainable sanitation services in Haiti. The winner of the Award for Young Entrepreneurs 2017 is FINISH Society, an Indian based organization which improves the quality of life of people by providing increased access to safe sanitation integrated with financial inclusion, health care and waste management, leading to a better quality of life for all. I just want to point out that the deadline for nominating someone for the Sarphati Sanitation Awards is 1 April 2019. Join the boost for global sanitation efforts and nominate an individual or organization for the Sarphati Sanitation Awards 2019! The theme this year is: Integrated sanitation (collection, transport and treatment/re-use) solution for urban context. Two prizes will be awarded during the opening of the AIWW 2019. Travel and accommodation costs are covered for award winners! Nominate here: aquaforall.org/sarphati/ .